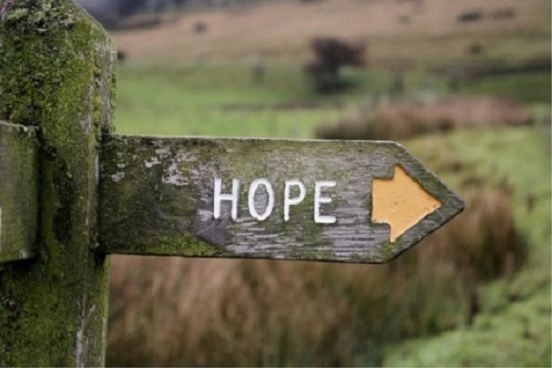 Hope – A feeling of expectation and desire for a certain thing to happen. YOU MADE IT! You made it to a new month. A new day. Many people have not arrived to August 1st 2012, and some did but not in their right mind…But by the grace of God, you are here! That’s reason to celebrate because you are in a new day! There are new possibilities. New opportunities. New connections. New shots. New risks. With a new day, you never know what your NEW may hold. That should make you excited! I’m excited for you. Your presence approves your significance to the world because if God had no plan or purpose for you, you would not be here! Today, I want to share some Jesus Mind principles that will empower you to prosper…By increasing your success expectancy! There’s a spiritual law called Attraction. Some of you may have heard of it. What you focus on, you will attract. I also call it the law of focused attention. The reason why that law works is because of another spiritual law called Expectation. That law is simply this: What you EXPECT, you will ATTRACT. You may not have heard someone describe these words as laws, but you have seen the power of these laws at work in your life. How many times for example have you woke up and said “Today is going to be a bad day.” And by the end of the day, you’re all miserable and said to yourself “See, I knew it was gonna be a bad day.” Or you expected something to go wrong with a project, a trip, a date, an idea and you saw it all unwind and go wrong. The power of Expectation is one of the greatest forces you have within you. It’s closely linked to the power of FAITH and will determine how successful you will be in life. You must decide TODAY to change your outlook and put faith in the God of Hope and ALWAYS expect His favor into your life (Romans 15:13). Hope for something good to happen. Hope for that new job, that new apartment, that new stream of income, that new business or ministry opportunity. Hope for that prayer to be answered this week, that healing to take place in your body. Expect it not for “one day” or “later.” That’s a safe and faithless prayer. Expect for what you want to happen NOW. Connect your expectations with your words. There’s power in your words. Your expectations must become your confessions. Faith is only activated when released out of your mouth. If you don’t feel confident about what you say, chances are you don’t believe it. Keep saying what you hope for until you feel confident and passionate about it! Go and live within that confident expectation of goodness and mercy following you all the days of your life, in EVERY area of your life. Remember: The difference between winners and losers, is how they deal with failure & disappointment.